Start your own business, become your own boss now, Global Outsourcing And Placement Solutions brings you opportunity if you need a business process for your BPO. Along with traditional Inbound and our bound calling we present opportunity to get Data Entry and Copy Paste Projects. These projects need less investment and technical efficiency. 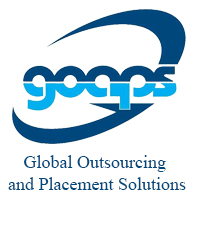 Globaloaps is engaged in providing some great options if you want to start your own data entry business, our projects are too reliable, they are from government sector as well as private sector, survey and data entry projects from banking , and telecommunication industry are very popular data entry projects. Best point is there is no catch, we have many successful examples and most happy customers from all over India. Let’s understand why Data Entry projects suits you best. Need Less Technical Knowledge: You don’t need to hire technical staff, so your salary inputs on your agents is quite low. Less infrastructural investment: You don’t need to input a lot at infrastructure, no. of defined mandatory seats are quite less. You can become your own boss: This is a feasible business, if you are dreaming for startup, we help you.